He talked about what a tremendous group they are. How they were a team of growth, of "no-nonsense," meaning they took it upon themselves to make the right decisions on and off the court. He acknowledged how fortunate they were in avoiding injuries but their success was due primarily to the players practicing hard and being smart. I've always liked Coach Beilein, but after watching this I thought to myself, "Wow, what a thoroughly decent human being. ...I'll never draw an editorial cartoon about him." 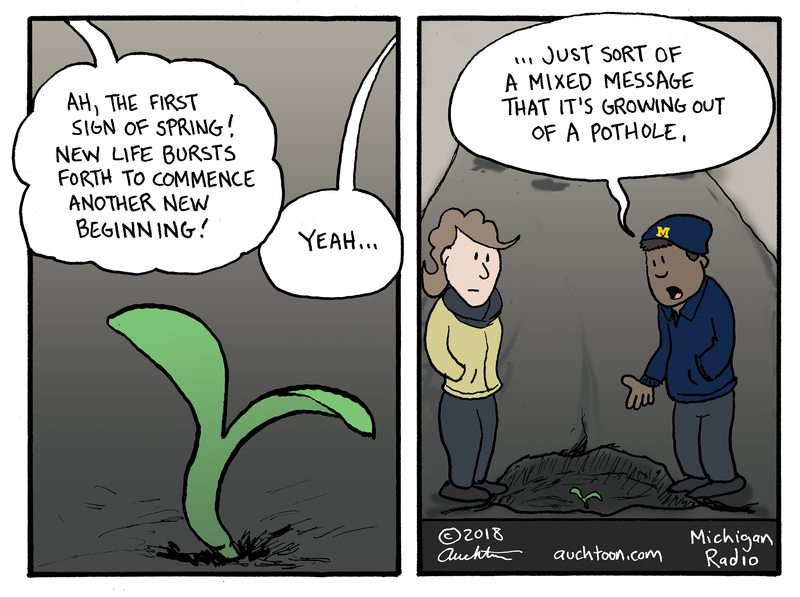 Well, I was half right. Obviously, I did draw him (no, seriously, that's supposed to be Beilein), but I wouldn't necessarily call it an editorial cartoon. 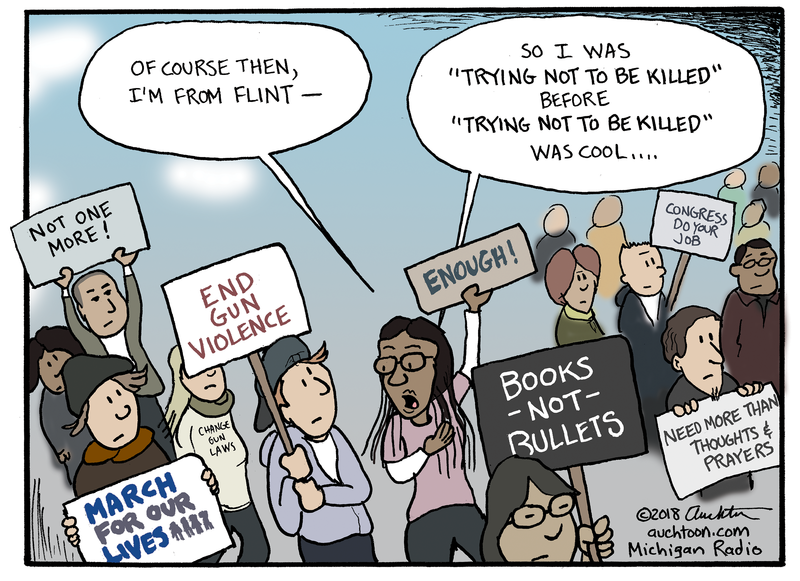 Typically editorial cartoons challenge power and call out hypocrisy. The current leadership in politics and business seem to provide plenty of that — from fear-mongering to gaslighting to unabashed lying. 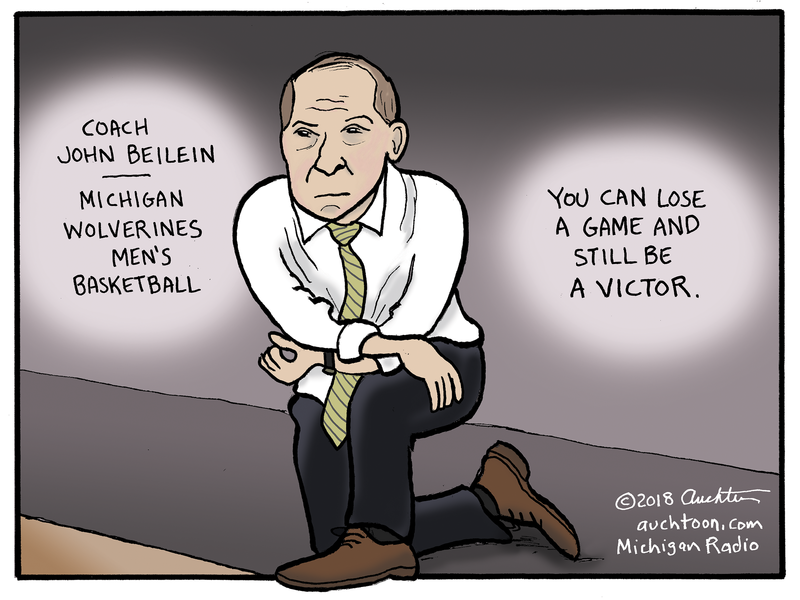 So I quickly changed my mind about drawing Coach Beilein to demonstrate the contrast. 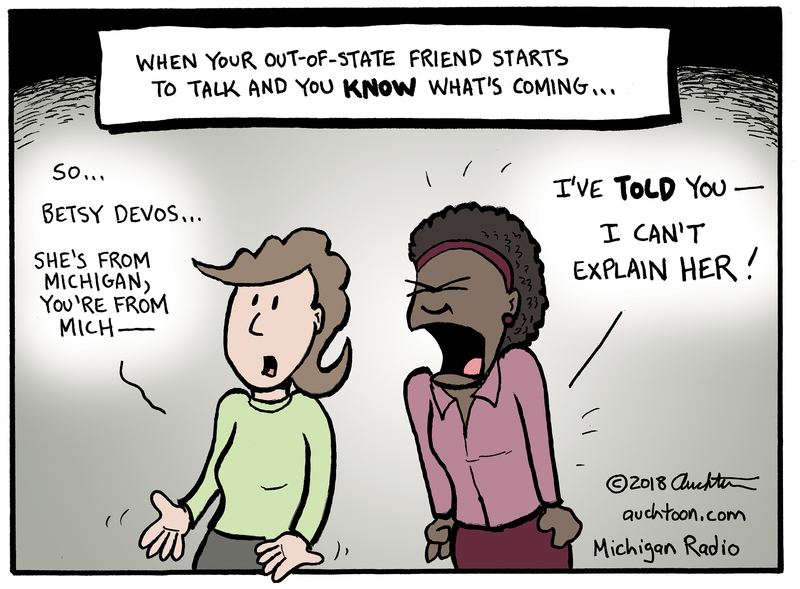 Recently, I did a cartoon about a member of the Trump cabinet and opined in the commentary that at a certain point competency should have a higher value. I would like to add that decency should count for something, too.